Greeting from QMaths. 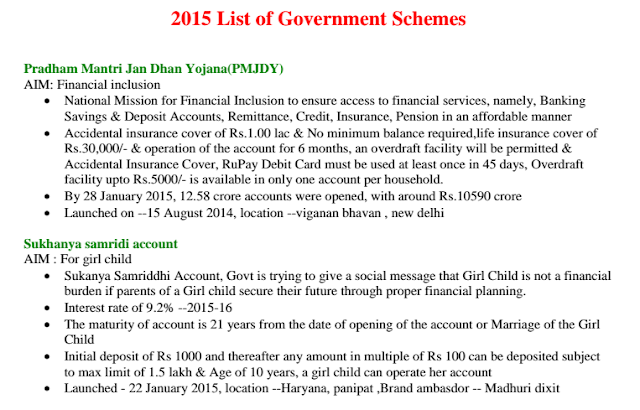 Today we are sharing a Pdf on Government Schemes of last year (2015). This e-book contains all the schemes from January 2015 to November 2015. A must download for GK/GS and current affairs sections of competitive exams. All the best for forthcoming examinations.